Despite the costs of mining, drilling, transportation, refining, and distribution, the energy density of fossil fuels makes them attractive, despite their emissions. 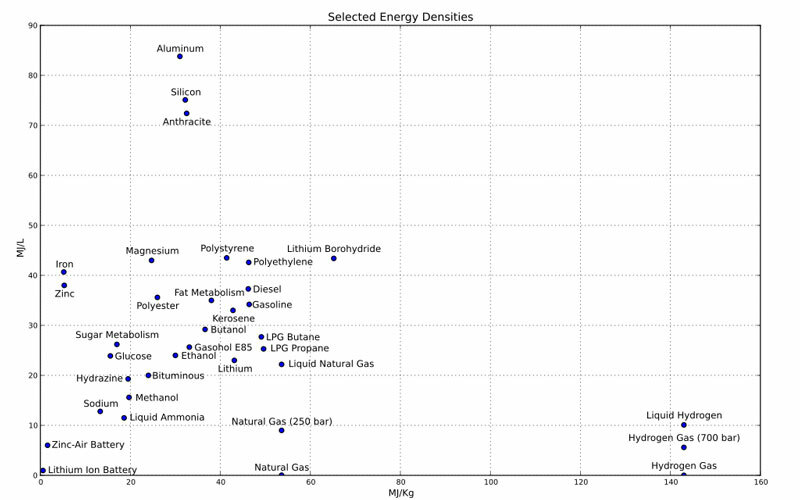 Gasoline, for example, has an energy density of 34.2 million Joules/liter, while a typical lithium-ion (Li-ion) battery for a cellphone has an energy density of 0.90 to 2.23 MJ/L (Figure 1). While nature’s ability to convert sunlight to energy-dense fossil fuels over many millions of years leaves researchers somewhat at a disadvantage, there is much to yet to be done by way of storage chemistries, technologies, and their smart application. For example, for the electric grid, batteries (among other options, such as flywheels) store energy that can be used during times of peak load. This makes better use of available capacity and eliminates wasteful peaking generation. Storage also helps with the integration of renewable energy: Excess solar or wind energy can be stored and either used by the facility later, or served back to the grid. For developing countries, energy storage systems (ESSs) improve power-grid reliability. According to GTM Research, the total energy storage deployments dropped in Q3 2016, versus Q3 2015, as there were no >1-megawatt projects brought online. On the upside, behind-the-meter deployments increased slightly. While that seems to indicate a slowdown, it may not be for long. At the same time, corporate funding of research, currently led by companies such as ABB, Bosch, Tesla, Sharp, SolarCity, Nextera Energy, Eaton and SunEdison (Figure 3), showed notable increase (Figure 4). GTM Research puts the Q3 2016 total corporate investments at $659.8m, 5x that of Q3 2015 ($131.6m). As energy storage for large-scale grid and large facility applications get deployed, total run time, system lifespan, and the maintained capacity of the storage cells become critical, as they are a large up-front cost. This has led companies such as Vionx Energy to develop a vanadium-based redox (reduction-oxidation) flow battery. Flow batteries differ from conventional rechargeable batteries in that energy is stored as the electrolyte, and not as the electrode material. The electrolyte is dispensed from a tank and recovered in a loop for re-energisation. The advantage of flow batteries are many: long life, no emissions, quick recharge (very important for vehicles), fast response times, and flexible layout, as the power and energy components can be separated. Compared to Li-ion, they also have higher power and current density. In the case of Vionx and its XFlow Technology, it worked with UTC (United Technologies Corporation) to double that power density using UTC’s new Interdigitated Flow Field process. UTC optimised the flow-through and flow-by processes to get the higher density while also lowering flow pressure. The end product also keeps its capacity for over 20 years. Along with battery chemistries to maintain longer life and capacity, energy storage also demands more of the power electronics. In mobile devices, for example, a power management IC such as Maxim Integrated’s MAX77818 optimises and manages charge and discharge curves to minimize losses at up to 4.0A. At the same time, it is programmable over an I2C line for a wide range of loads and battery types for maximum flexibility. 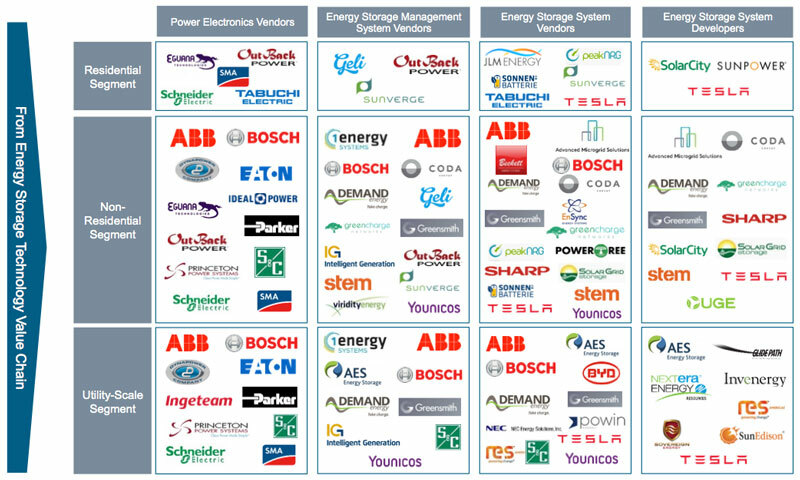 Electronics’ role in the new age of the Energy Imperative goes much further. Using sensors, two way communications and advanced IoT analysis techniques, the charging, storage and release of energy will take place in a much more controlled and intelligent fashion. ESSs will be alerted to kick in more quickly, to the point of being predictive, based on advanced algorithms analysing the state of the power networks. At the same time, consumers will be able to make smarter decisions based on analysis of behind-the-metre energy consumption and optimise the use of the grid and locally stored energy generated from renewable sources.